Psychotherapy differs from counselling in that the process is typically longer and focused on deeper change. 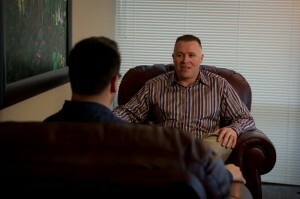 Psychotherapy can help with better understanding one’s self, one’s behaviors, motivations, patterns and relationships. The therapeutic relationship provides the context to work through deeper challenges and dynamics in one’s life. Psychotherapy can facilitate change and growth through new awareness and insight, but it can also lead to greater wisdom, compassion, courage, and connection to self, others, and even the Divine. It can be challenging and a big commitment, with the potential for deep healing and growth. My expertise with psychotherapy has developed from not only many years of reading in the field and completing professional development trainings, but from going through my own training analysis of over 500 hours, and receiving many hours of professional supervision. My own experience, and seeing successful growth and change in my clients has provided me deep inspiration, and belief in the power of depth psychotherapy. My psychotherapeutic approach is anchored in a tradition that values not only psychodynamic principles but also the contributions from Existential and Jungian wisdom. In my experience no one approach works for everyone, so psychotherapy is about creating an approach, and a relationship, that will serve each person’s unique needs and interests while staying true to the psychotherapeutic process. Research consistently demonstrates high levels of change and healing for those engaging in depth psychotherapy.